The move from supported housing to independent housing is an important step in every survivors’ journey. Snowdrop’s housing renovation programme helps survivors of trafficking and exploitation to feel happy and comfortable in their own home. This is vitally important for their health and well-being. Without a stable home, survivors can struggle to feel safe, creating multiple barriers on their journey to independence. Here, Denise Lawrenson, Community Facilitator at Snowdrop explains the challenges and excitement which come from moving into independent housing. Now… Imagine that feeling being dashed when you open the door to a hideously cold, unloved and uncared for flat. Imagine the nails sticking up through the dirty, patchy floor and wallpaper peeling off the grubby walls. Imagine one half of a wall painted in neon green and the other in black gloss. There’s also no furniture and you have very little means with which to buy any. Now you’re getting the idea of how a council flat can look when our client first enters. The overwhelming feeling of having to deal with all these things alone can be isolating and traumatic. This is where Snowdrop’s invaluable housing renovation programme comes into play. When we know we have upcoming renovations we put out a message to our community – a call for volunteers, furniture and decorations. In 48 hours, they peel off rotten wallpaper, fill holes in the walls, sand, paint and clean. 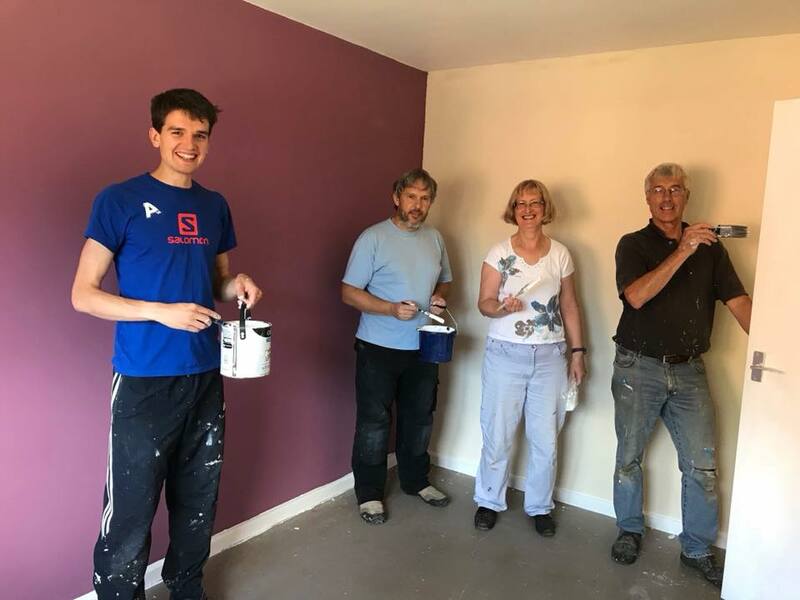 We ensure every client has a major part in the renovations – they’ll choose the paint colours, arrange the furniture and move their belongings in with the team!